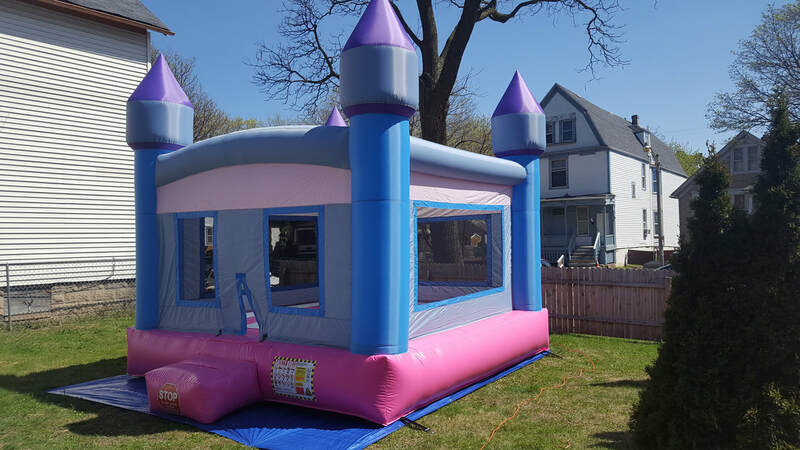 Milwaukee Bouncy House is Greater Milwaukee’s premier bounce house rental company. Home of the weekend rental, our team is fast, efficient, courteous and passionate about having fun. We work diligently to ensure that your special event is complete with the perfect bounce house for you and your guests. What makes Milwaukee Bouncy House different? At least one of our owners is present at each and every delivery and setup. We want to be sure our customers receive the best customer service available and the safest setup possible. 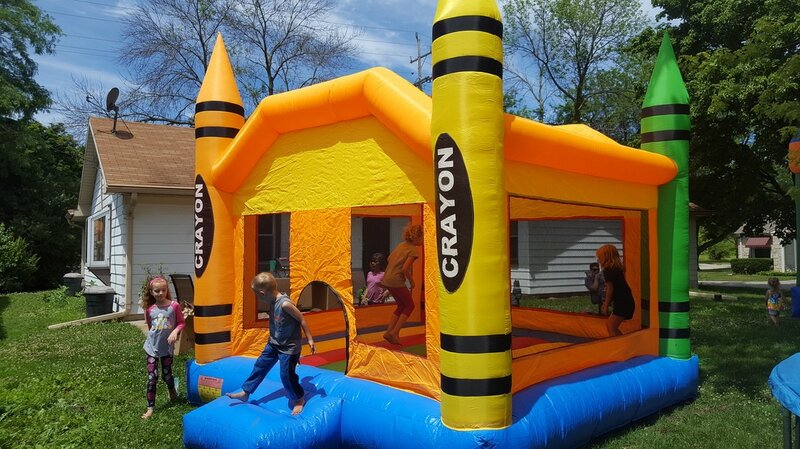 Moreover, Milwaukee Bouncy House ensures that our customers receive the best prices in the area. We are dedicated to this mission and will therefore price match any other bounce house rental company in the area. Bring us a formal quote, and we will absolutely match it, no questions asked. Lastly, rentals are all that we do. 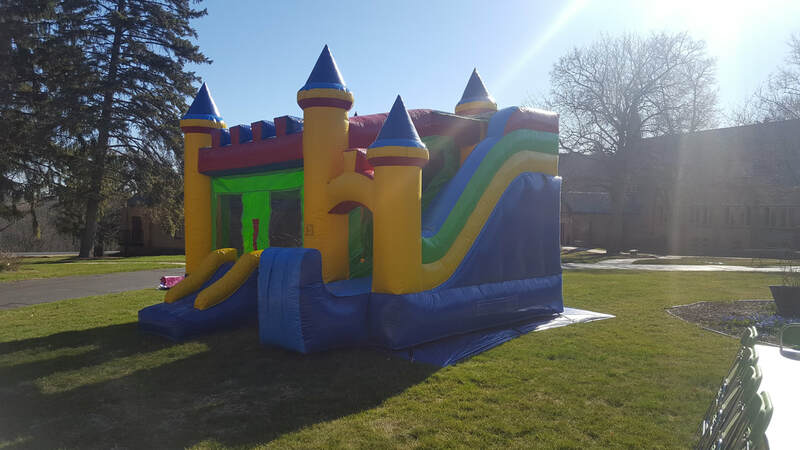 Many other companies utilize their bounce houses for commercial events and festivals. Milwaukee Bounce House only rents their bounce houses for private parties and private events. We have found this ensures our product quality stays clean and safe and our customers have more availability to utilize our services for their private events during the warmer months of the year. Many of our customers find value in our simplicity because we give them flexibility within the rental process. Since bounce houses are all we do, we are known for our full-weekend rental. This option allows for us to drop off the bounce house on Friday evening or Saturday morning (whichever is best for our customer) and pick it up on Sunday evening. Having children ourselves, we realize this is a fun way to keep the kids busy, even when the party is over! We rent bounce houses 7 days/week, 365 days/year. We realize the holidays and weekends are the prime times for bounce house rentals so we work diligently to have as many inflatables as possible during those time periods. However, since week days and the off-season (October-April) is a slower time period for us, we offer fantastic deals and discounts for our customers looking to have fun indoors or during the business week! Bounce houses are a great way for kids to have fun and be active but they are also a fantastic and fun way for children to learn a bit of discipline and direction as well. The safety rules children must abide by when playing in a bounce house offer structure to the madness of a party or celebration. Furthermore, developmental studies show when children are young, teaching them to focus and follow directions in the midst of excitement and distraction in an important developmental strategy. Bounce houses help with all of this and are an extremely fun way to meet any child where they are at! It may be silly to think one could be passionate about renting giant inflatables for private parties but our team is genuinely passionate about what we do. We are a bit old-school in our thought process and enjoy seeing children playing outside and being active. In the midst of video games and online technology, bounce house rentals offer an alternative to sedentary pastimes and promote discipline, socialization and important face-to-face interaction among adolescents. Knowing that we are genuinely helping children as we have helped our own is a very rewarding feeling and our team feeds off of that positive energy. We service all of Milwaukee County and the surrounding suburbs. Our home base is conveniently located in Brookfield, Wisconsin so our most prominent servicing areas are Brookfield, Pewaukee, Menomonee Falls, Wauwatosa, Elm Grove, and New Berlin. We have also serviced customers outside of the Greater Milwaukee area, however, we reserve the right to add a special trip charge for events 35 miles or further from our home office location in Brookfield, WI. Below is a list of the common areas we service in Southeastern, WI! Schedule Your Bounce House Today! The rental process is fairly simple because our team has it down to an exact science. The first thing we do when we arrive at the event is talk to the person or persons in charge. It is important to us that we introduce ourselves and answer any questions you may have right off the bat. This is also a great opportunity for us to figure out exactly where you would like us to set everything up. Once we have established the area on the property where you would like everything organized, we get to work. We generally ask that the home owner or party planner give us a bit of extra room outside of the natural dimensions of the bounce house as we generally lay the house on a tarp that is a bit wider and a bit longer than the house itself. Depending on what is best for your situation, we either use electrical on the property or a generator to power the commercial blower that keeps the bounce house inflated. Both the required surface area necessary and the power source being utilized are topics that will be discussed prior to the day of setup so you may plan accordingly. Furthermore, it is important that safety and cleanliness are a top priority. As we begin to inflate the unit, we ask that the children present stand a good distance away from the unit. This process is surprisingly short as most of our units inflate in under 3 minutes. Once the unit is fully-inflated we complete one last safety check to make sure the blower is operating property, and the stakes are properly inserted into the ground. Additionally, before and after every event our team climbs inside of the bounce house and sanitizes the inside of the bounce house to be sure the unit is both double checked and double cleaned.